This is old news but quite an extraordinary story anyway. Last November, this painting – Portrait of an Artist (Pool with Two Figures) – sold at auction for $80 million. Leaving aside that it seems bonkers to most of us that a work of art can fetch such a sum, the reason it was so newsworthy was because it was the highest price ever paid for a work by an artist who is still alive. That would be David Hockney, a Yorkshireman who transplanted to California and whose photo is on the home page. Hockney told CNN: “I always loved swimming pools; all the wiggly lines. If you photograph them it freezes them whereas if you use paint you can have wiggly lines that wiggle.” It’s impossible to put that better myself, and certainly if Hockney wanted to paint swimming pools, LA would beat Bradford any day. This work was completed in 1972. The man standing by the pool is Peter Schlesinger, who was his partner around that time. 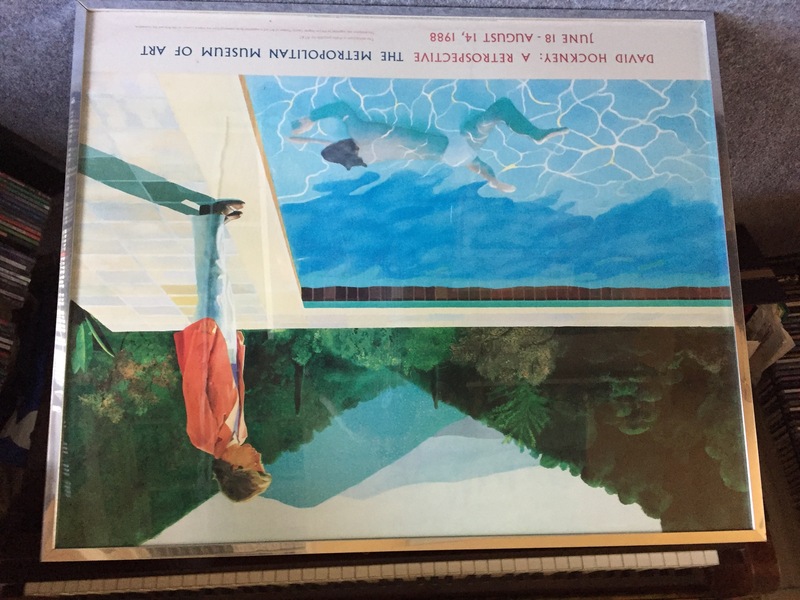 It is thought the man in the pool is Hockney, who will turn 82 in July. 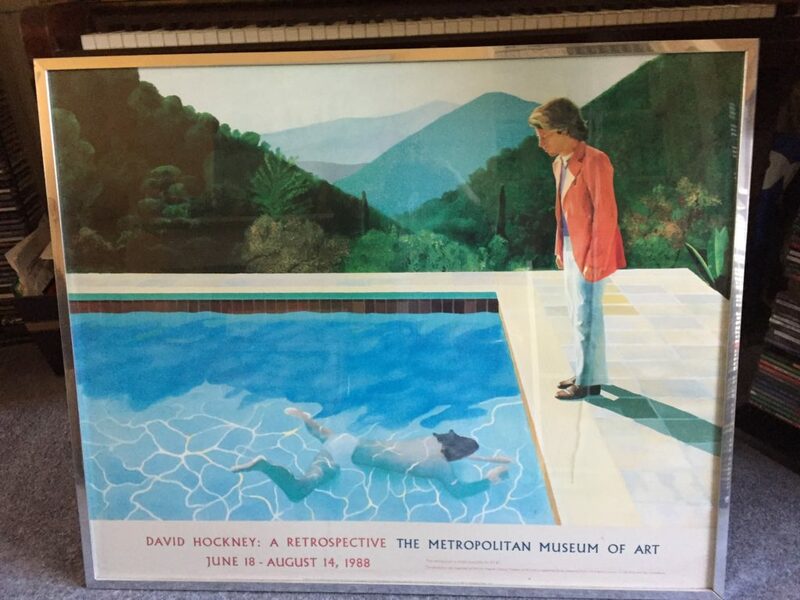 The photo above is of a poster of the painting which I bought at an exhibition in New York over 30 years ago (as you can see). I don’t recall the price but that perhaps set me back about $8. As I admitted at the start of this piece, this is not a particularly contemporary story. But, hey, it is contemporary art.